If you’re like most people, you spend around 40 hours each week working to earn a living. You may not enjoy it much, but at least it’s a fair trade-off: your time in exchange for the money you need to live. 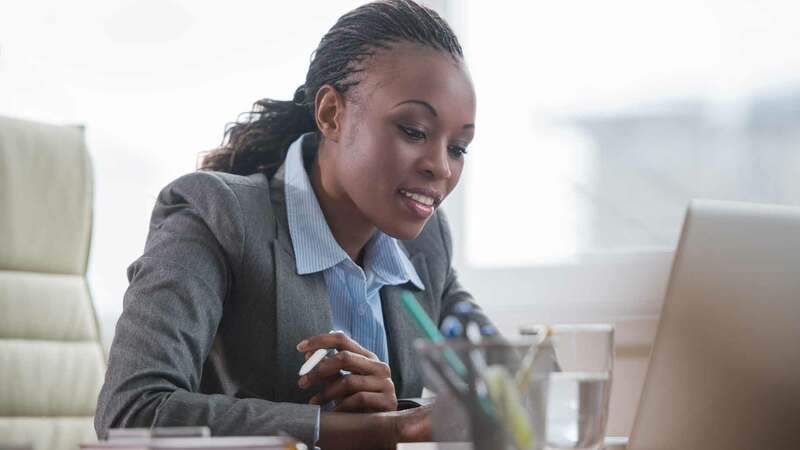 What you may not notice is how holding down a job can use up your money as well as your time. If you’re a parent, for instance, you probably have to hire someone to look after your kids while you’re at work. Commuting to work, whether by car, bus, or train, also takes money. And for many jobs, the cost of a professional wardrobe and weekday lunches take up hard-earned cash as well. All these expenses can take a surprisingly big bite out of your paycheck. In “The Complete Tightwad Gazette,” Amy Dacyczyn crunches some numbers for a couple with two working parents earning salaries of $40,000 and $25,000. She finds that nearly all of the smaller income is eaten up by taxes, childcare, commuting, and wardrobe costs, leaving less than $4,000 annually in the couple’s pockets. Having to work isn’t always fun, but paying to work really adds insult to injury. Fortunately, you can fight back by finding ways to cut the hidden expenses that come with a job. If you have kids, paying for their care is probably your biggest job-related expense. According to a 2015 survey by Care.com, a company that matches families with care providers, keeping two children in daycare costs $341 per week – more than $17,700 per year. For most families, childcare is the biggest single expense in the budget, costing even more per year than housing. Shop Around. Prices for childcare vary widely. The cheapest type is usually family childcare, an informal daycare service operated out of the owner’s home. According to Care.com, family daycare costs about $140 per week for one child, or $267 for two. By contrast, a full-time nanny costs a whopping $477 per week for just one child. Maximize Your Taxes. Parents with children up to age 12 can take a tax credit to help pay for their care. 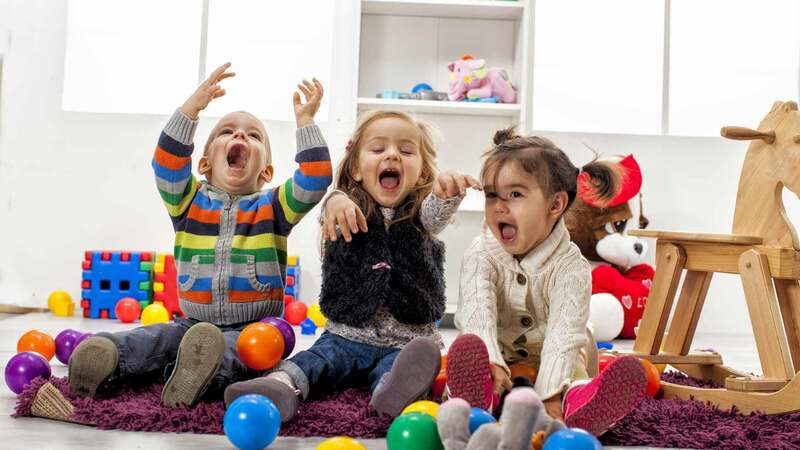 According to the Internal Revenue Service (IRS), you can claim as much as 35% of your childcare expenses – up to a maximum of $3,000 in expenses for one child, and $6,000 for two or more. Alternatively, you can set aside up to $5,000 in pretax dollars for childcare in a flexible spending account (FSA), if your employer offers one. And, if you have two or more children and childcare expenses of more than $5,000 per year, you can do both: Set aside $5,000 in an FSA and claim a tax credit for any costs over that amount. Hire a Grandparent. According to a 2014 report by Child Care Aware of America, a nonprofit organization that promotes affordable childcare, nearly one-third of all children under five have a grandparent looking after them while their parents are at work. If your parents (or your spouse’s) live in your area, turning to them for childcare is likely to be your cheapest option. Join a Co-Op. In a childcare co-op, a group of parents take turns looking after each other’s children. For instance, if you work on Saturdays but have Mondays off, you could watch a friend’s children on Monday and have your friend watch yours on Saturday. This reduces the number of hours the children have to spend in paid care and keeps your kids in the hands of someone you trust. Shift Your Schedule. If you and your spouse can arrange to work different shifts, you can take turns looking after your kids and eliminate, or at least reduce, the need for paid care. The obvious down side of this arrangement is that you have less time to spend together. Another way to cut childcare costs is to reduce the number of hours you work, possibly dropping down from full-time to part-time work, to reduce the time your children need to spend in care. You can also ask to work from home all or part of the time, so you can get work done and keep an eye on your kids simultaneously. Commuting to work is a double whammy. It adds time to your workday – about 26 minutes each way on average, according to the U.S. Census Bureau as reported by USA Today – and also takes money out of your wallet. However, you can use a variety of strategies to cut your commuting costs – and possibly make better use of your time. According to the Census Bureau, about 86% of all workers drive to their place of employ. This means that each workday, they pay not only for gas and tolls, but also for all other costs of owning a car, including depreciation, maintenance, and insurance. If these costs add up to $0.575 for each mile driven – the amount the IRS allows you to deduct for each mile you drive for business reasons – then a commute of 15 miles each way costs a whopping $17.25 per day, or more than $4,300 per year. Carpool. Among people who commute by car, nearly 9 out of 10 drive by themselves – the least efficient way to commute. If you can find a coworker to share a ride with you, each person driving half the time, you can both cut your annual commuting cost from $4,300 down to $2,150. Add one more worker to the carpool, and the cost drops to about $1,435. Drive More Efficiently. There are many ways to get more miles per gallon out of your car. The most important is to drive slowly and smoothly – most cars run most efficiently at a steady speed of around 50 miles per hour. You can also reduce your car’s weight by clearing excess junk out of the trunk, and reduce wind drag by removing exterior racks and keeping the windows shut as much as possible. Finally, try to avoid idling. Don’t shut off your engine while you’re in traffic, but turn it off if you’re going to be stopped for a minute or two – for example, at the drive-through or at a railroad crossing. Maintain Your Car. Regular maintenance keeps your car running at its top efficiency. Get regular tune-ups, change all filters regularly, and keep your tires properly inflated. Upgrade Your Car. If you’re driving a big gas-guzzler, there’s a chance you could save money by trading it in for something smaller and more fuel-efficient. However, this won’t work if you trade in a nearly worthless old car to buy an expensive new one, so do the math first and make sure an upgrade is a good deal. Buy Cheaper Gas. No matter how much you improve your car’s fuel efficiency, you still need to buy some gas, so spend as little per gallon as you can. Try using a gas price app, such as GasBuddy, to find the cheapest stations in your area and fuel up when you’re nearby. Also, never use a higher-octane gas than your car really needs – it costs more and does nothing to improve performance. Not all workers have the option of taking public transportation to work. It’s really only possible if you both live and work in a city, or close enough to one to be within reach of its transit system. However, if you’re fortunate enough to be in this situation, you can save a lot by using mass transit instead of having a car. In New York City, for instance, a 30-day unlimited pass for the MTA transit system costs $116.50, which works out to $1,417 per year. That’s a lot less than the $9,100 Consumer Reports magazine cites as the average annual cost of owning a car. On the other hand, if you already own a car, driving it to work could be cheaper than taking the subway. A five-mile trip at $0.575 per mile costs $2.88, while a one-way subway fare costs $3.00. However, even if it doesn’t save you money, commuting to work by bus or train has other advantages over driving. Since you don’t have to focus on the road, you can spend your commute time doing something you enjoy, such as reading, knitting, or even watching a movie on your phone. You also get a bit of exercise walking to and from your stop and some social contact from chatting with other riders. A 2014 study at Great Britain’s University of East Anglia found that workers who take public transportation to work feel better during that time than those who drive. If you live close enough to your workplace, you can save on commuting costs by walking or biking to work. A bike is much cheaper to buy and maintain than a car, and it doesn’t require any fuel. As for walking, it has no expenses at all except wear and tear on your shoes. Exercise. If you live five miles from your workplace, biking to work at a brisk 15 miles per hour should take you about 20 minutes each way. Doing this twice a day adds up to a fairly good workout. According to a 2004 Harvard study, for a 155-pound person, 40 minutes of bike riding burns around 250 calories, as opposed to only 50 calories burned while driving. It also helps keep your heart in good shape. Reduced Stress. 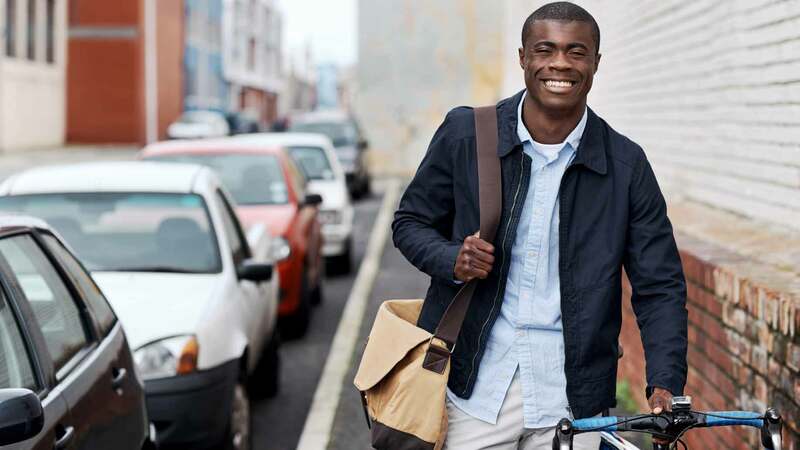 According to the East Anglia study, people who walk or bike to work feel less stress and are able to concentrate better at work than those who commute by car. The longer they spend walking or biking, the better they feel – unlike car commuters, who feel more stressed out the longer their drive is. Less Traffic. A possible reason walking or biking to work is less stressful is that you spend less time stuck in traffic. On a bike, you can often cruise along the shoulder or bike path right past the stopped cars. You can also take advantage of foot and bike paths that aren’t open to cars at all, which often gives you a more scenic route to work than the drivers get. Smaller Carbon Footprint. If your car gets 25 miles to the gallon, then making a 10-mile round trip to work on foot or by bike saves 0.4 gallons of gasoline. Doing this 100 times per year adds up to a savings of 40 gallons of gas. That’s enough to keep over a third of a metric ton of carbon dioxide out of the atmosphere, according to figures from the Environmental Protection Agency. Of course, walking or biking to work has some drawbacks, too. It’s not as fast, so unless you can take a much more direct route on foot or by bike than you can in the car, you need to allow extra time for your commute. It also isn’t practical in heavy rain or snow, and in hot weather, it means you arrive at work all sweaty. Plus, in some areas, there simply aren’t any safe or legal routes for bikes or pedestrians. Fortunately, there are ways to get around most of these problems. You can search online for bike maps of your area to help you find a safe and direct route to your workplace. Since walking or biking to work is a workout in itself, you can skip the gym on the days you do it, saving you time. And on hot days, you can carry a change of clothes in a backpack and change in the restroom at work, so you look presentable when you start your workday. In many office jobs, the clothes you wear on the weekend just won’t pass muster at work. Plus, business clothing is pricey. A decent men’s business suit costs around $300, plus another $50 to $100 for tailoring to get the fit just right. A shirt and tie add another $30 or so, and business-appropriate shoes tack on another $100 or more. All told, a basic business wardrobe of three suits, shirts, and ties, plus one pair of shoes, comes to more than $1,300 – and that’s not including the cost of dry cleaning. Buy Secondhand. You can find business clothes in good condition at thrift stores and consignment stores for a fraction of what they would cost new. On one recent thrift-shopping excursion, my husband and I picked up a suit from the Joseph line at the menswear store Jos. A. Bank. While the suit would have cost about $650 new, we spent only $59. Shop Sales. Department stores and major clothing chains hold sales frequently, cutting their regular prices by 50% or more. For example, a quick search of the “clearance” section at the popular business retailer Men’s Wearhouse turns up dozens of suits for $150 or less. If you find a really good deal, buying new clothes on sale can be even cheaper than buying secondhand. Swap Clothing. If you have old clothes in good condition that no longer fit you – or that you just don’t care for – you can pass them on to friends who can use them, and pick up pieces for yourself in return. You can get a bunch of friends together for a clothing swap party, or you can casually pick up a jacket here and pass along a shirt there, trusting that it will all balance out eventually. Focus on Classics. Good business clothes last a long time, so there’s no point wasting money on cutting-edge fashions that you’ll have to replace in a year because they look dated. Instead, invest money in classic, timeless pieces that you can wear over and over for years to come. Men’s wardrobe essentials include a tailored suit, white shirt, and oxford shoes. Classic clothing items for women include a basic black dress, a good suit jacket, and a well-made handbag. Keep Clothes Longer. Clothing that’s damaged or no longer fits properly doesn’t have to be a write-off. You can make your clothes last longer by learning to do basic repairs at home, such as replacing buttons or hemming pants. If a repair is beyond your sewing skills, you can probably take the item to a tailor and get it fixed for much less than it would cost to replace. Also, if you’ve lost weight and your clothes are now too big for you, a good tailor can alter them so you can continue to wear them. Eating lunch out every day is an expensive habit. A 2012 study by the job-search site Accounting Principals shows that two out of three American workers buy their lunch on workdays, spending an average of $37 per week – more than $1,800 per year. On top of that, roughly half of them have a coffee habit that costs them $20 per week, or $1,000 annually. 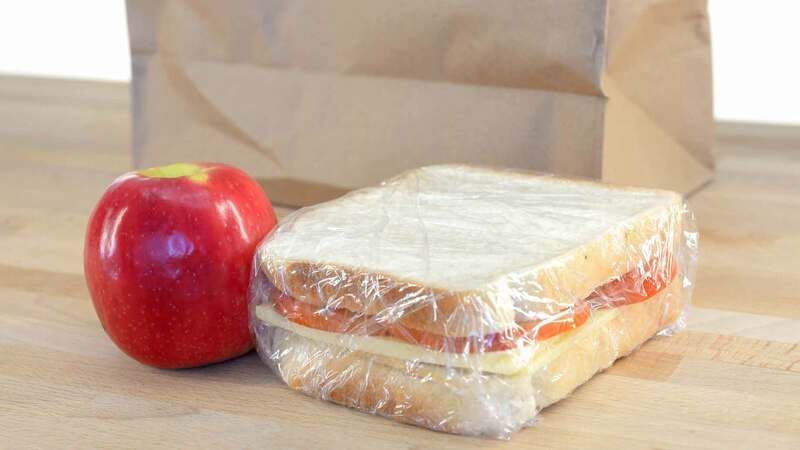 A brown bag lunch is a much cheaper alternative – and it’s often healthier as well. When you eat out every day, the quickest options are often fast foods like burgers or pizza, which aren’t known for their nutrition value. By contrast, when you pack your own lunch, you control exactly what goes into it, so it’s easier to load up on fruits and veggies or go easy on the mayo. Soups. You can easily take soup to work in a Thermos bottle, or pack it in a snugly sealed jar and reheat it in the microwave. Inexpensive homemade soups include lentil, butternut squash, and minestrone. Even if you buy soup in a can, it’s still cheaper than most restaurant meals. Salads. It’s hard to get much simpler or healthier than a salad. From basic green salad to pasta salad to Waldorf salad to potato salad, the possibilities are endless. Preparing your own homemade salad dressing makes this lunch option even cheaper. Sandwiches and Wraps. Sandwich choices today go way beyond tuna fish or peanut butter and jelly. Consider tomato and basil on wheat, curried chicken salad on a pita, or a turkey-veggie wrap. Dinner Leftovers. Perhaps the cheapest option of all is to take leftovers from last night’s dinner in a microwaveable container. If you normally just throw leftovers out, then turning them into the next day’s lunch instead means that there really is such a thing as a free lunch. If you can’t bring yourself to pack a whole lunch every day, at least try bringing your own drink to accompany your meal. Most drinks at a cafeteria cost at least $1, which adds up to $250 over a year’s worth of lunches. By contrast, you can buy cans of soda at the supermarket for as little as $0.20 each – or bring a reusable bottle full of tap water for free. While you’re at it, try bringing your own coffee to work if you’re a coffee drinker. Daily Finance calculates that you can brew a decent cup of coffee at home for around $0.18. Replacing just one $2.29 Starbucks coffee every day with a homemade alternative saves you more than $500 per year. Some workers can’t take advantage of all these tips, but nearly every worker can take advantage of some. For parents with young kids, childcare is probably the biggest expense, so finding ways to cut that cost offers the best chance for savings. Commuting costs are the next-biggest item on the list, at least for those who drive to work, and lunch comes in a distant third. However, when looking for savings, you have to consider not only where you spend the most, but also which cuts are easiest to make. That factor moves lunch right up to the top of the list. Finding cheaper childcare or biking to work isn’t practical for everyone, but pretty much any worker can pack a brown bag lunch. What are some of the ways your job costs you money? What steps are you taking to keep those costs under control?